Inflatables & games of all shapes and sizes are offered with Urban Circus. Whether you are looking for a classic arcade cabinet, inflatable bumper car arena, or want to go sky high with a rock wall, we’ve got you set! 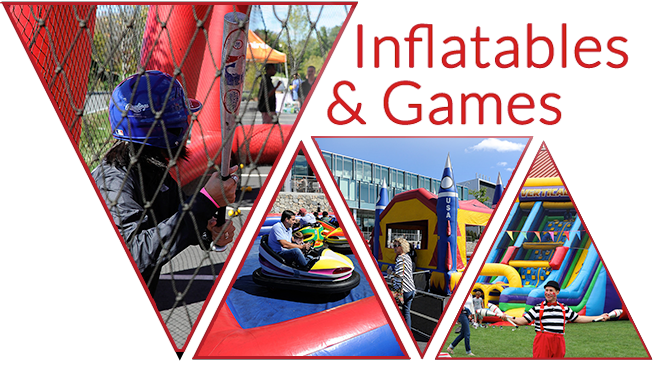 Plan your next event with an inflatable or game specific to the theme of your party and to the tastes of your party goers.